What are the economic, societal and scientific benefits for Europe stemming from its participation in ITER? And—looking ahead—what future impact can Europe expect from its role in this unique scientific project that aims to unlock the potential of fusion energy? These were the top questions discussed by 120 participants at the ITER Industry Day in Brussels, Belgium, on 4 December. Business leaders, policy-makers, scientists and civil society representatives assessed ITER as a source of current and future benefits for Europe's economy, society and research communities at the first European Commission ITER Industry Day. 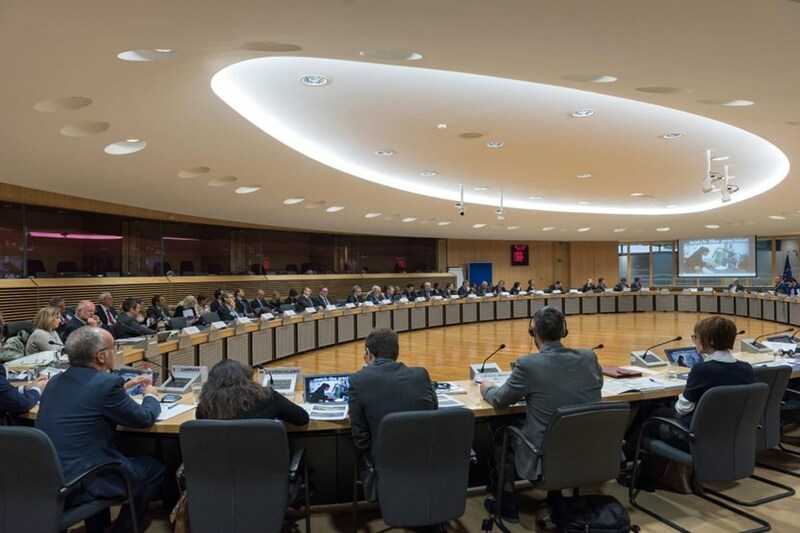 It was the first time that the European Commission had sent an invitation for an ITER Industry Day. And they all came: European business representatives, policy makers, scientists, civil society organizations, and the media. The ITER Project already brings a host of concrete opportunities for industry, businesses and the research community. Over 400 European companies and 60 scientific and research entities—from more than 20 countries—have concluded contracts with the European Domestic Agency for a total of approximately EUR 4 billion. 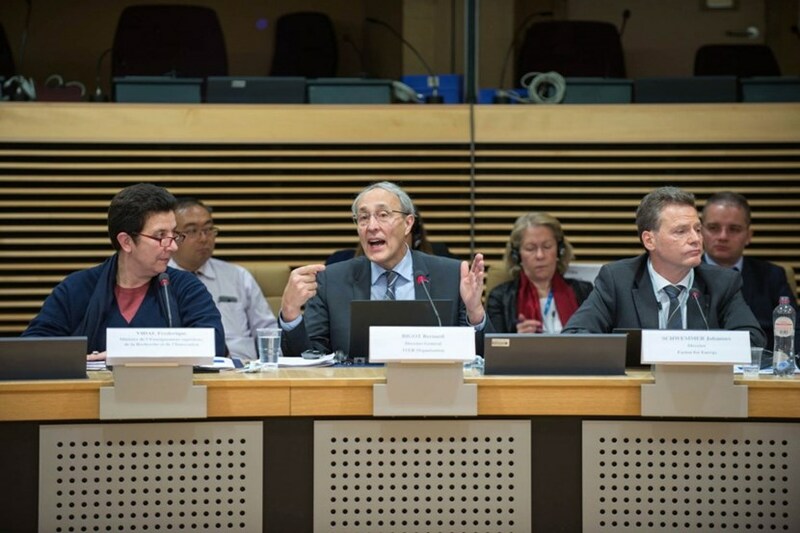 Director-General Bernard Bigot—here between Frédérique Vidal, French Minister of Higher Education, Research and Innovation (left) and Johannes Schwemmer, Director of the European Domestic Agency for ITER—briefed the ITER Industry Day gathering on recent project progress. The Italian company Belleli Energy is but one example of how ITER can help European businesses to grow and thrive through development opportunities and job creation: "Thanks to ITER, the staff of our company grew from 300 in 2010 to 1,000 today," reports CEO Paolo Fedeli. Spin-off technologies is another area with great potential. Participants discussed how spin-offs, spill-overs, start-ups and applications resulting from ITER-related contracts can promote development in other technological and industrial areas. Jérôme Pamela, the chairman of EUROfusion, Europe's fusion energy think tank, pointed to ITER's impact on scientific research potential: "Facts speak for themselves. ITER, which provides us a common goal, is a key driver for 2,000 research positions that exist in the member states. Without ITER, there would be far fewer researchers involved." It was not just about opportunities for Europe in Europe. As an international scientific project with 35 member states from three continents, ITER provides fertile ground worldwide for global technology cooperation, business opportunities, partnerships and innovation. Click on these links to read speeches by the French Minister for Research, Education and Innovation, Frédérique Vidal, in French and English, and by the EU Commissioner for Climate Action and Energy, Miguel Arias Cañete, in English.